No need to sell now to buy a dream home . . .
Lee and Sarah, a couple in their late fifties, wanted to move to a bungalow that Sarah had fallen in love with. At the time they lived in a 3-bedroom family terrace in a sought-after area. There was no mortgage on the house. Lee was still working as a long-distance lorry driver and Sarah, his wife of 30 years, had recently received an early-retirement payout. Their property had been valued at £110,000, but had not sold as quickly as they needed due to the slow market. They were afraid of missing out on the bungalow as they both very much wanted to retire there. There was nothing to stop them getting a new mortgage on the bungalow, and they had a deposit already. They would have preferred to sell and buy the new home outright but, after taking qualified independent advice, they decided to secure the new bungalow with a mortgage. All the elements of the management option were agreed for the house they were selling: the purchase price; length of time between exchange and completion; and a monthly amount payable directly to them. Contracts clearly outlining all this were exchanged through solicitors. The sellers were very pleased because: a fair price of £100,000 was reached; the house would be fully maintained and insured during the agreement period; and a monthly, guaranteed amount equal to the mortgage payment on the new bungalow would be paid. They were very happy to delay completion until the market lifted, since the agreement provided a solution which allowed them to move on and to secure a property which they would almost certainly have lost out on otherwise. They are happy to wait for the money that they have locked in the property until the market lifts, and pleased that they have found a solution which means they have no costs associated with an empty property. Delighted great-grandmother finally gets her freedom . . .
Jackie, a widow and great grandmother in her sixties, had bought a 3-bed detached bungalow with its own grounds in July 2006. The lender, Northern Rock, was generous to her and advanced £189,000 against a purchase price of £205,000. The payments were fixed at £778 a month, which were affordable at the time, but by April 2010 were causing Jackie a problem. 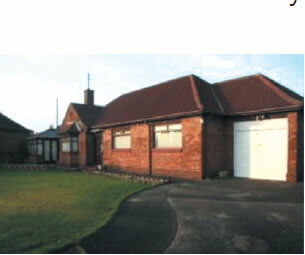 The bungalow, although beautiful, had become expensive to maintain and a little too large to manage. The mortgage was on a 10 year term, with a considerable early repayment penalty, which is due to expire in 2016. After making considerable improvements to her home, she tried to sell the bungalow over a period of 12 months, with an asking price of £240,000. Unfortunately the few who made reasonable offers had been unable to secure finance and, frustratingly, a number of sales fell through. What made matters worse was that Jackie had already signed a rental agreement for a town centre flat. The double expense was exhausting her savings. Besides that, concerns about security meant Jackie was sleeping in the bungalow at night, with no furniture other than a bed, but living in the flat by day. Jackie was unwilling to manage tenants, and did not want the emotional ties that having to make decisions about the property would entail. She was not able to carry the financial burden of possible maintenance issues or void periods, and the market rent was lower than the monthly mortgage, so she would have to subsidise the payments. Jackie was delighted to accept an exchange of contracts with completion some time before the end of the mortgage term in 2016, but after the early repayment penalty expired. This solution not only allowed her to move on in just 3 weeks, but also meant that she would be able to keep an unexpected and welcome £9,000 on completion. Having moved on and now free of the monthly mortgage payment, she has been able to stabilise her finances and regain peace of mind. Jackie is now settled in her retirement flat, and is delighted. She recently said this was the best thing that could have happened for her. Although she would have preferred to sell immediately for £240,000, she appreciated that the current market would simply not pay that. When staying together is not an option . 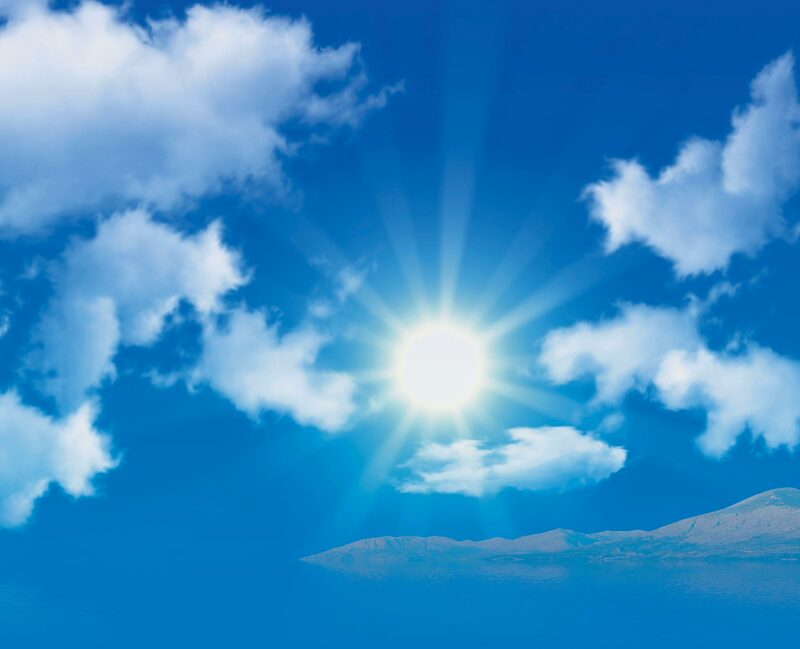 . .
Carl and Beverley, a couple in their forties, had experienced a cooling in their relationship and no longer wanted to share the family home. Both had moved out to alternative accommodation, the children having grown up and flown the nest, and both were ready to start a new life. Nevertheless, they felt tied until they could get closure on the house they were struggling to sell. 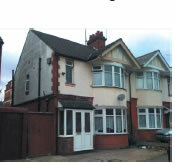 The house was perfect for a large family, consisting of two terraced houses knocked into one. Unusually for the street, and with a current asking price of £180,000 (reduced from £240,000), the property had failed to sell, despite many viewings and a great deal of initial interest. The asking price reflected the substantial garden, garage, and living space. After a bad experience letting to family members, the owners were reluctant to let the property again and ideally wanted a sale. The outstanding mortgage was £26,000, on a capital and interest basis with HSBC. 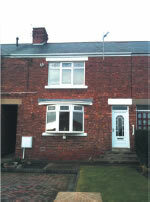 The market rent for the property was in the region of £650 – £700 per month. A purchase price of £170,000, to be paid within 5 years, was agreed. A payment of £500 was also set-up, to be paid to them every month until their house was sold. This was sufficient to cover the monthly mortgage payments and give the owners a modest but welcome income. Contracts were exchanged through local solicitors and, under the agreement, the purchaser has now taken over the maintenance and insurance of the property. The landlord who ‘wanted out’ . . .
Richard was a successful businessman. He decided to go into partnership with a colleague and bought a few properties. For a variety of reasons, this partnership didn’t work out and he decided to sell. 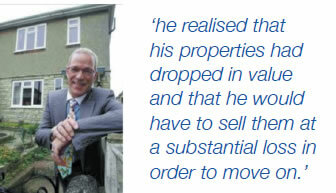 When he approached local estate agents he realised that his properties had dropped in value and that he would have to sell them at a substantial loss in order to move on. Not surprisingly, he was reluctant to do this, but still wanted to move on from the responsibility of managing the properties in order to focus on a new business venture. In this situation Richard realised that a management option would be a good idea. He was asking £125k, £110k and £120k for his 3 properties, which would have returned to him all the money he originally put in. Unfortunately, although these prices were not unreasonable, the current market would only be likely to pay around £105k, £88k and £100k. This meant that he would have to sustain a financial loss of about £62 thousand should he choose to sell the properties in the normal way. He did not, however, want to leave the properties on the market for a further 6-12 months in the hope of getting better offers. Under the management option, Richard was offered a fixed price of £117k, £105k and £115k, substantially more than the offers that had come forward from other potential buyers. The management agreement was drawn-up for a 5-year period, terms were agreed by both party’s solicitors, and the matter was signed and finalised for all 3 properties in under 4 weeks. The agreement included a guaranteed fixed monthly income for those 5 years. This was agreed at 73% of rental income achieved for the properties, currently £1600 monthly. Richard therefore received £1168 each month. Two of those properties were mortgaged with RBS, the total monthly payments being £630. Under the terms of the agreement the payments for the mortgage and building insurance were made on his behalf. This meant that he received a regular monthly payment of about £420, once these other payments had been deducted.